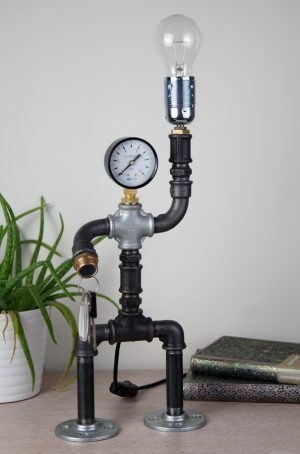 This product is desklamp retro trumpet created by Giannis Dendrinos, a Greek visual artist. 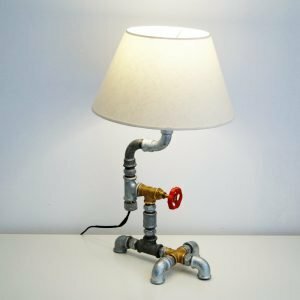 The last year, Giannis has been creating various retro and vintage desklamps using multiple materials such as plumbing pipe parts and vintage objects. 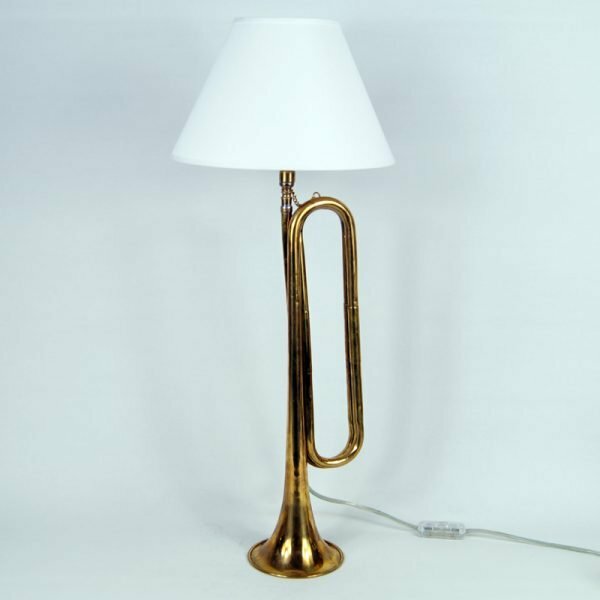 This desklamp retro trumpet is a real trumpet in which a E27 lamp base has been fitted. 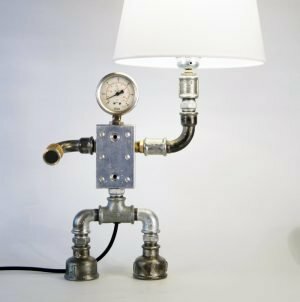 It comes with a transparent cable, switch and plug for 230V AC or 110V AC lamps. A white shade is included in the price.